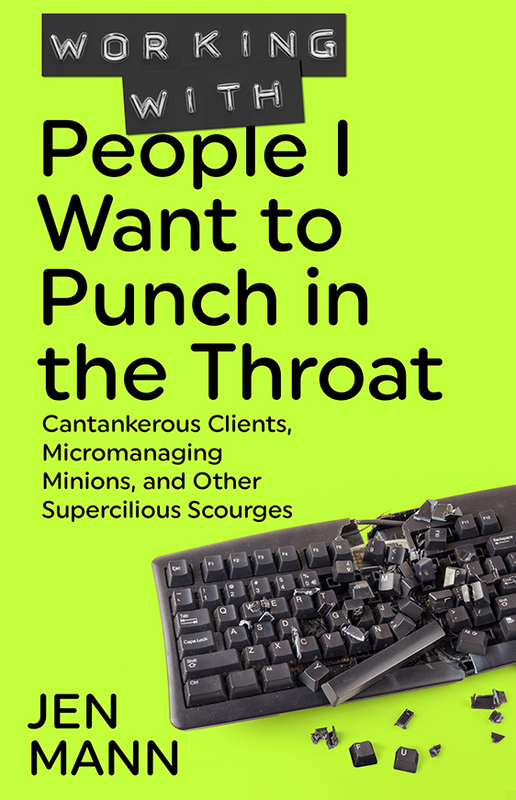 Jen Mann Writes: Working with People I Want to Punch in the Throat is Coming! Mark your calendars, because you're going to want this book. If you've ever toiled away in a cubicle or sat through a meeting to plan another meeting, then you can relate to this book. This is the third book in my New York Times best-selling People I Want to Punch in the Throat series and it will not disappoint. This is the book you'll want to accidentally on purpose leave on the desk of that blowhard in marketing. This is the book you'll just happen to drop next the microwave in the break room hoping that Jan in accounting reads it before she reheats last night's curry chicken for lunch. 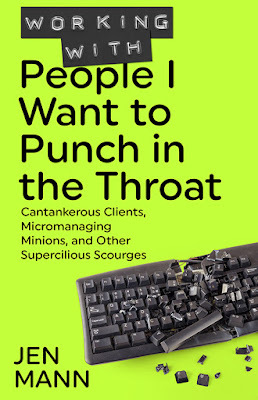 This is the book you'll mail anonymously to your micromanaging boss with certain passages highlighted.